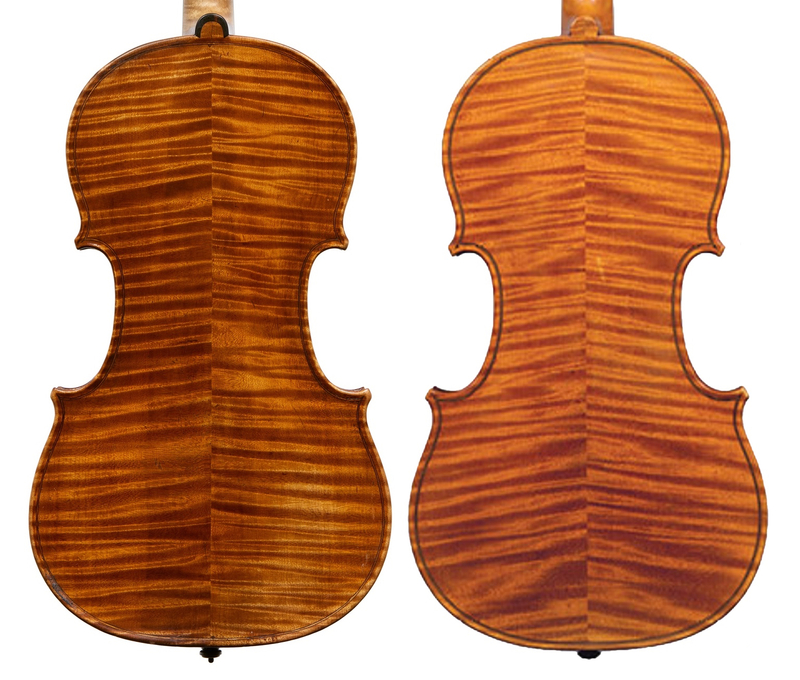 Two models dominated Giuseppe Rocca’s output for most of his independent career, the 1716 ‘Messiah’ Stradivari and the 1742 ‘Alard’ Guarneri ‘del Gesù’. Rocca undoubtedly chose these models because he was able to have the original instruments in hand and to study them after becoming acquainted with Luigi Tarisio in around 1842–43. Copying specific historical instruments was not common practice in Italy before the mid-19th century. The Italian makers of the 17th and 18th centuries imitated their predecessors from time to time, but not necessarily by copying a particular instrument. Rocca was the first important Italian luthier to make repeated copies of a specific instrument. J.B. Vuillaume also famously copied the ‘Messiah’ Stradivari, but only after he acquired the instrument upon Tarisio’s death in 1854 and, in this way, Rocca had a decade-long headstart. 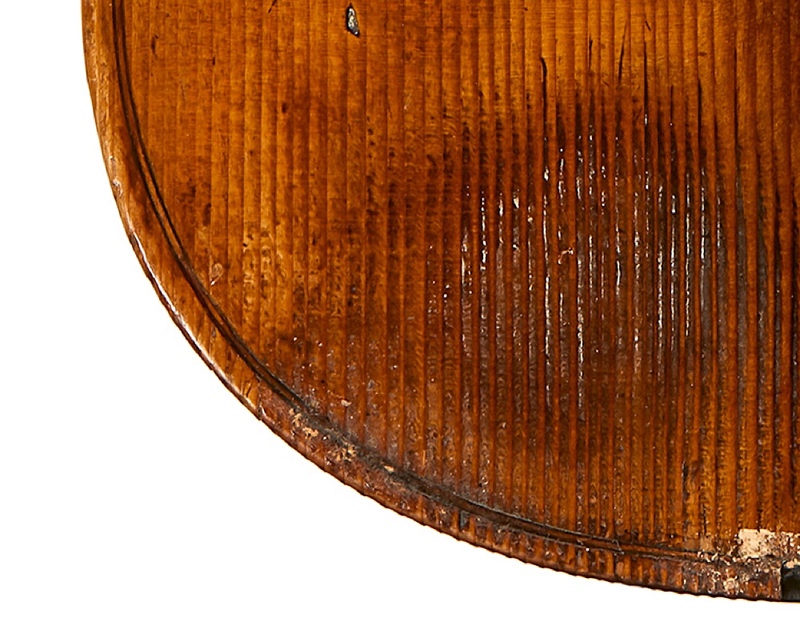 The ‘ex-Maud Powell’ Rocca violin (see our previous feature about the life of Powell), made in 1856, is modelled on the ‘Messiah’ Stradivari and shows the maker’s familiarity with that instrument and all of its quirks: the slightly splayed positioning of the sound-holes, the flat and shallow fluting, the minimal edge margin. Even the wood choice and orientation of figure are mindful of the ‘Messiah’. The back is made of two pieces of attractive maple with a wide and lively flame. The varnish has penetrated the ground and stained the maple slightly, creating a superb dichromatic effect with maximum clarity and luminosity. The top is formed of two pieces of spruce with wide winter grain. The arching of the top is slightly flatter than that of the back and both are minimally fluted at the edge. 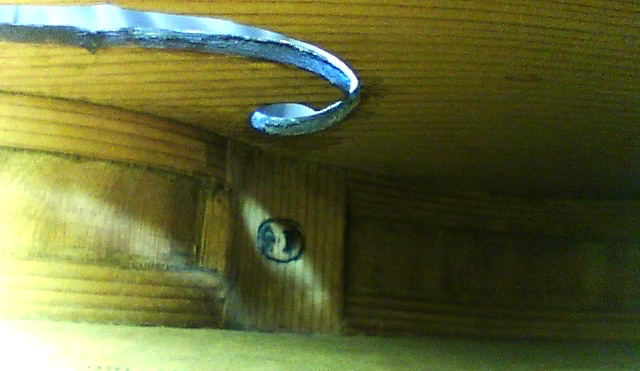 The spruce also shows some instances of the varnish penetrating the ground, particularly around the end-grain of the sound-holes and at the upper and lower edges. The ribs are over 30 mm tall in maple matching that of the back. The rib mitres have been blackened. The lower rib was assembled in two pieces and joined with a thin strip of purfling. The Turin-style saddle is let several millimeters into the lower rib in a shallow curve. 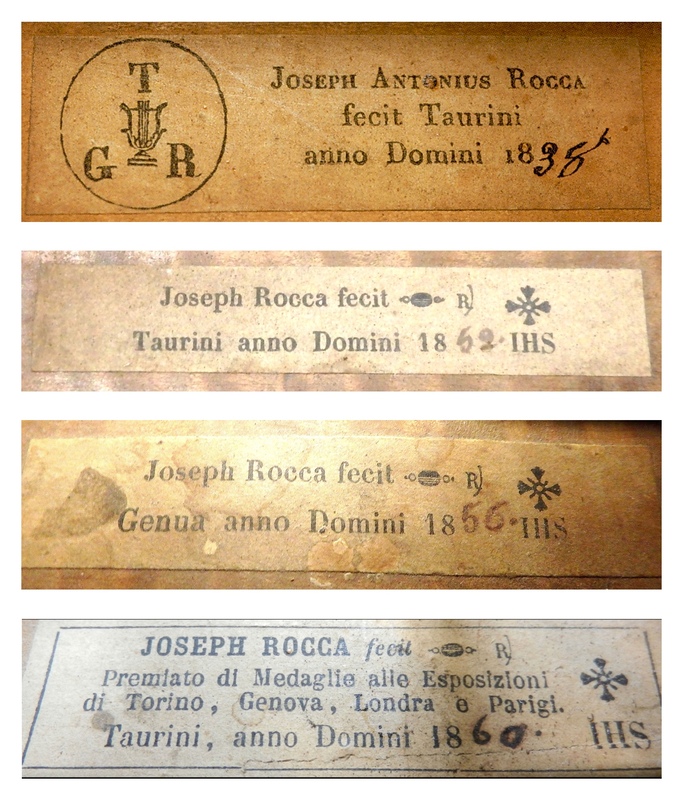 Rocca used four different labels over the course of his career, although he used several of them concurrently. 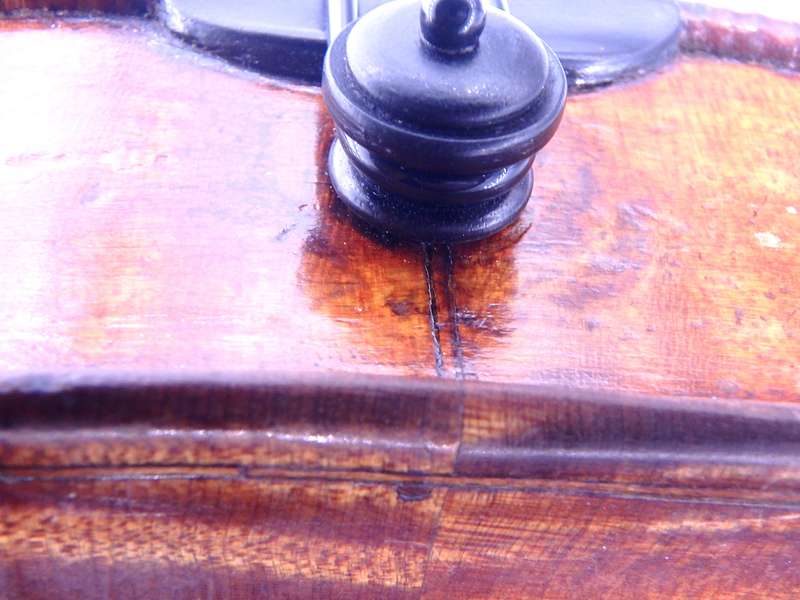 In this violin we see the ‘Genua’ label, which he began using in around 1851 when he moved to the city of Genoa. His first label was ornamented only with the initials ‘G.R.T.’ in a circle and surrounding a lyre. His next three labels abandoned this monogram but featured the ‘I.H.S.’ insignia, a Maltese cross and two as-of-yet unexplained symbols. The first is an ‘R’ followed by a right end-bracket ‘)’ and the second is a shaded oval flanked by two smaller spheres. I consulted three of my colleagues who have spent many years researching Rocca and, for the moment, none can explain the significance of these symbols. Philip Kass points to the existence of a fifth label, used by Rocca between 1840 and 1843 or 1844. He also points out that the handwritten last two digits of the year vary from instrument to instrument and, given that Rocca was illiterate, it’s likely that he outsourced this small but not insignificant task. We also observe a dot after the date on most labels. The head is also a Stradivari model but it is the part of this violin that is least convincingly inspired by the ‘Messiah’. 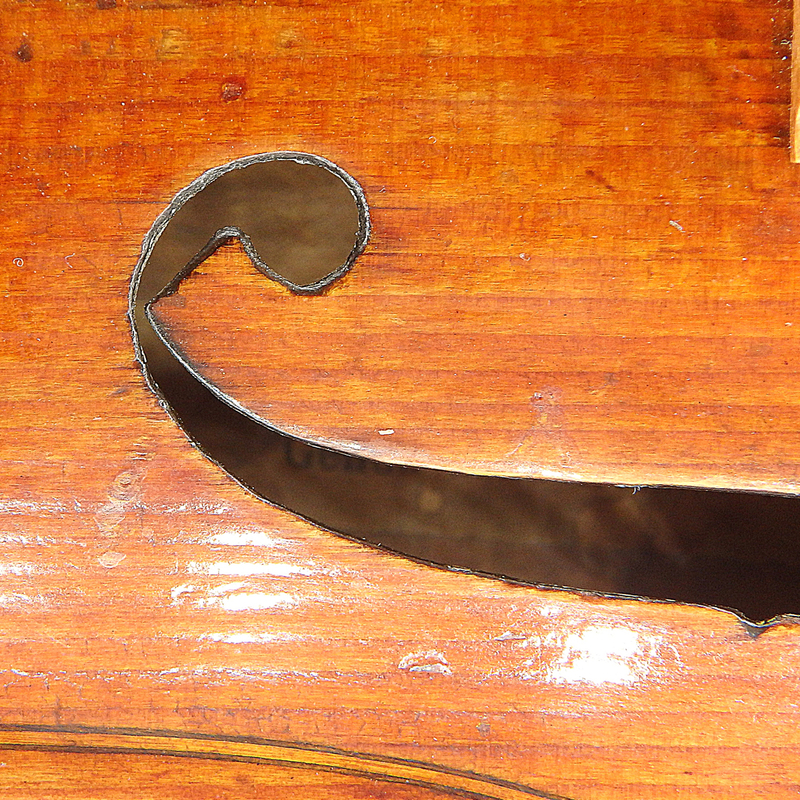 The pronounced scribeline with occasional compass-points alludes to his training with Pressenda, but the wide blackened chamfer is more in the mold of late-period Stradivari. The ears are slightly undercut, a trait one almost never sees in the heads of Stradivari. The interior work is in spruce of a wide and even grain. The linings are nearly 8 mm tall and in the C-bouts they are let neatly into carefully trimmed corner blocks. 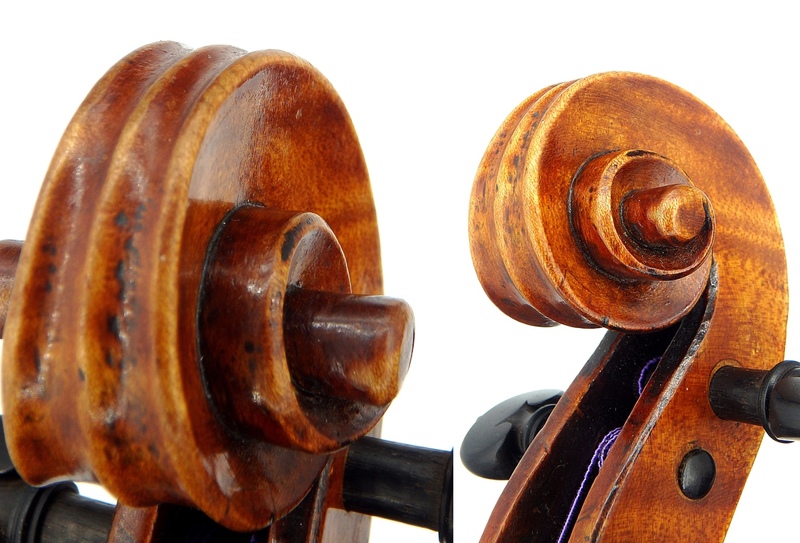 The lower bass corner block bears the maker’s brand, a ‘G’ and an ‘R’ separated by a dot and enclosed in an oval. 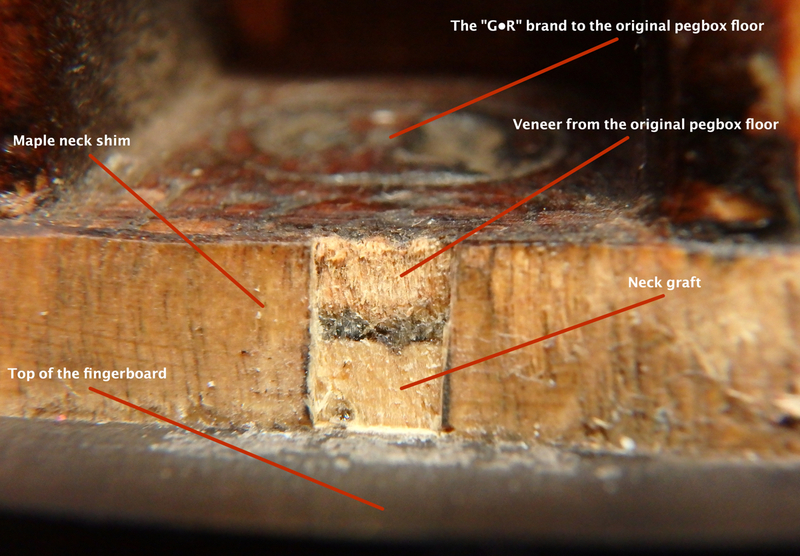 The original neck has been replaced by a careful restorer who removed the ‘G•R’ brand from the floor of the pegbox and then laminated it on to the endgrain of the new neck-graft. 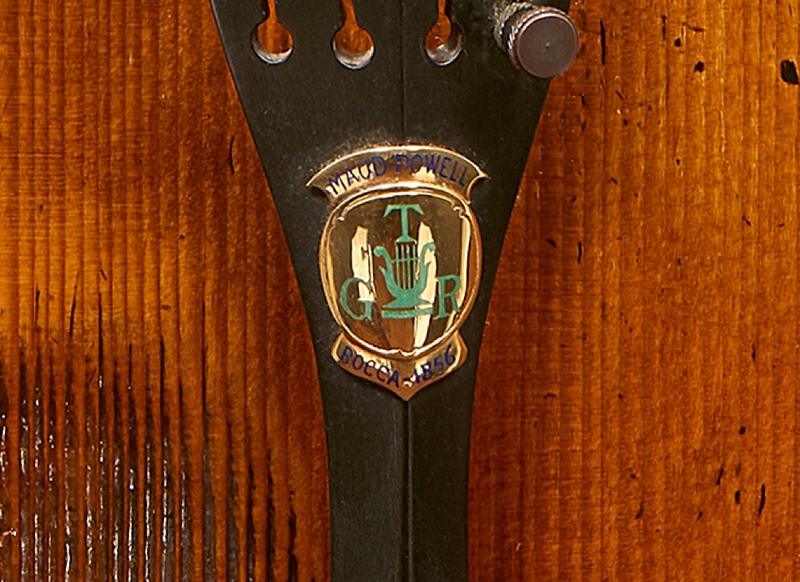 This conscientious effort to preserve the brand is only visible after removing the upper nut and making a small cutaway in the neck shim. 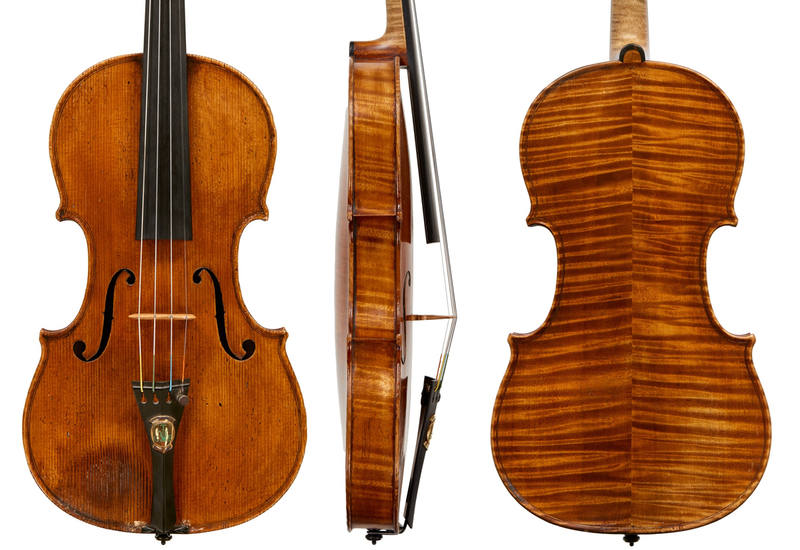 This violin was acquired by Powell in London in 1905 and she owned it until her death in 1920. 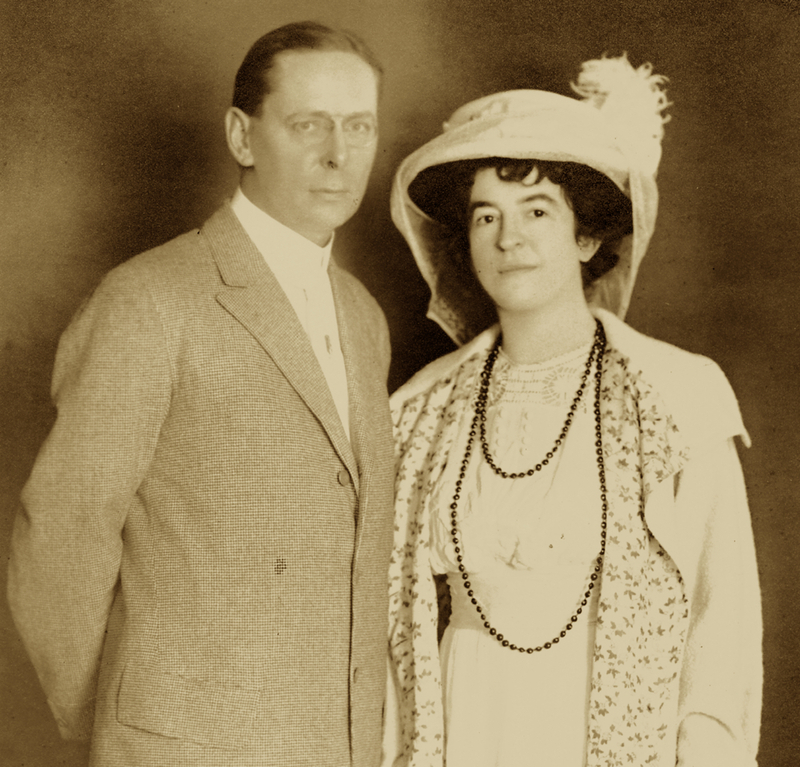 Four years later, Powell’s husband, H. Godfrey Turner, sold the violin to the New York violinist and dealer Nathan Posner. According to the Hills, Turner, a successful American music promoter based in London, had once attempted to buy the ‘Messiah’ Stradivari from its then owner Robert Crawford. If he had been successful, we can only imagine how that would have affected the preservation of that famous instrument. We can be certain, however, that with this Rocca violin, he and Powell owned one of the first and finest copies of the ‘Messiah’ ever made. Jason Price is Tarisio’s Director and Expert. Martens, Frederick H., Violin Mastery: Talks with Master Violinists and Teachers, Frederick A. Stokes Co., New York, 1919. Doring, Ernest, N., ‘The Turin Violin Makers Pressenda and Rocca: Part Two’, Violins & Violinists, June 1948. Hill Diaries, April 27, 1904.